Wordsmith Jeffrey Campbell a.k.a. 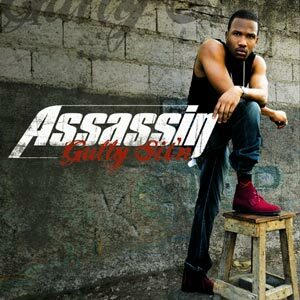 Assassin returns with his second album for VP Records. "Gully Sit'n - A Dancehall Story" has been produced by the biggest Jamaican producers: Dave Kelly (Mad House - Producer of Cham "Ghetto story" and many hits of Beenie Man & Bounty Killer), Don Corleon (Sean Paul, Rihanna, TOK...), Stephen McGregor (Tremor Riddim, Power Cut Riddim, Dem Time Deh...), Christopher Birch and many more.